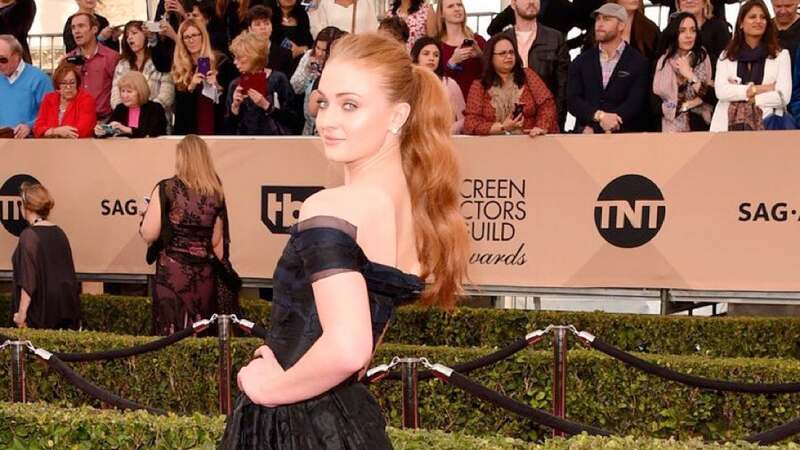 The 23-year-old British actress, who plays Sansa Stark in the show, said during Tuesday's episode of "Good Morning America" that Jonas figured out how the series ends after visiting her on set. "He was on set for most of it, so he kind of figured it out and then he had to sign an NDA," Turner confirmed. "He had to have full photo approval on set, his camera was covered up -- everything." "He's terrible [at keeping secrets]," she told hosts Amy Robach and Michael Strahan. "Yeah, you can give him a call. He'll probably tell you everything." Turner previously said in the spring-summer issue of Glamour U.K. she told Jonas how the show ends. "I've just told Joe," she told the magazine. "But he's so mad at me -- he loves the show! Well, I have to tell someone, otherwise I'll burst." Turner later clarified to Entertainment Weekly she told Jonas and one other person. "The truth is I've only told two people. It's not that many. To be honest, I don't read many of the mentions on Twitter because there's normally quite a bit of hate," she said of backlash. "Everything I say will always have some negative reactions so I'm not surprised." "Game of Thrones" returns for an eighth and final season April 14 on HBO. The series released a new promo Tuesday teasing the aftermath of the Battle of Winterfell.